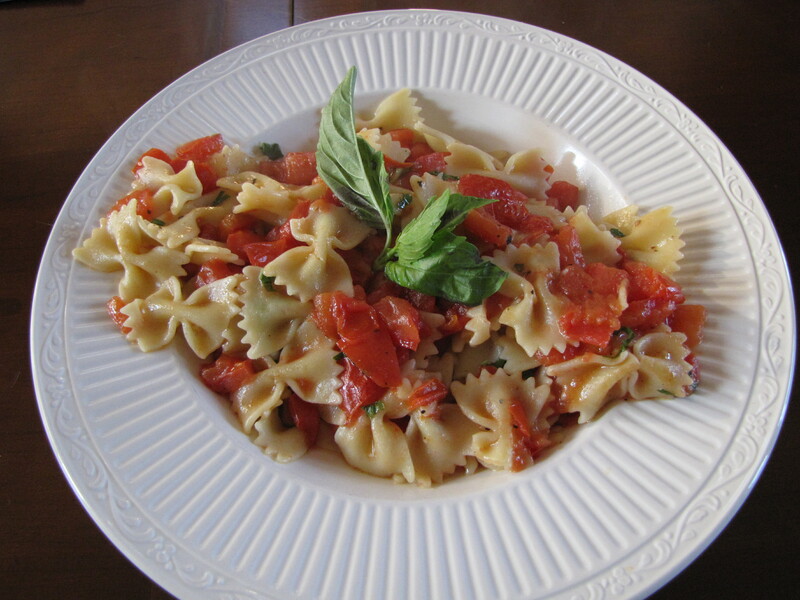 Nana Toad’s Sulfite free Tomato Basil Pasta | Wine NOT! This is easy as heck. My stepmom, *Nana Toad, is a gourmet and can make a used paper towel taste delicious, but I think even the likes me me can tackle this one. And I was so FULL after eating it. I haven’t felt full in a long time. 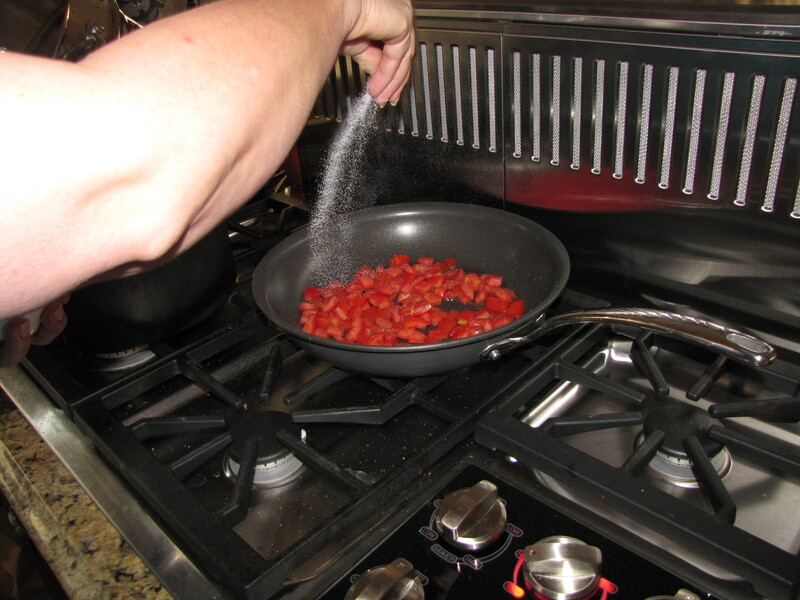 Salt and pepper them and add about 1/2 cup of either the pasta water or you can add some organic sulfite free wine, if you can tolerate one. I am living off of Bonterra Chardonnay . But I can only do the twisted cap from Trader Joe’s and NOT the corked that the Jewel has. Don’t ask me why. Don’t. Stop asking. Our Nana Toad is actually not old, not ugly and does not smoke. She is in reality very beautiful and got the nickname of “Toad” when she was little. So, there you have it. She also gave me a Hamilton Beach Turbo twister stick blender, so she rocks even harder. Thank you for visiting our website and taking the time to write. We sincerely appreciate your interest in Bonterra Wines. All of our Bonterra wines are made from grapes that have been grown on California organically certified farms. Federal regulations allow a maximum of 350 ppm of sulfites in non-organic, or ordinary, wine. The USDA “Made with organically grown grapes” certification allows less than 100 ppm. Internationally, the “organic” standard is 90 ppm. Under this certification, we add a minimal amount of sulfites to protect the quality of Bonterra wines. The average for our Bonterra Chardonnay over several vintages has ranged from 70-80 ppm, and the average for our Bonterra Cabernet Sauvignon has ranged from 70-90 ppm. These are the only two varietals that we have specific information for at this time; however, all of the Bonterra varietals fall within the USDA guideline. Our best recommendation is that individuals should consult with their physicians and then decide for themselves based on their knowledge of their own degree of intolerance. I hope this answers your questions, but please do not hesitate to write back if you need additional information. Thank you again for your interest in Bonterra Wines. So – the difference between the cork and the screw top is probably the vintage – but the bottom line is – they add sulfites. Organic doesn’t mean jack when it comes to sulfites. Sigh. As always – the reaction is a matter of threshold – you are probably just under the threshold with this wine when it has less. Which is good for you – my only problem is, you run the risk of getting something else accidentally when you have this intentionally, pushing yourself over the edge. Believe me – no – BELIEVE ME – no one – NO ONE misses wine more than I do. But I just won’t eat anything I know has the sulfites added because I am sure I get some accidentally all the time, so I am doing my best to keep it under the threshold. Damn sulfites. « Getting Out of Dodge.